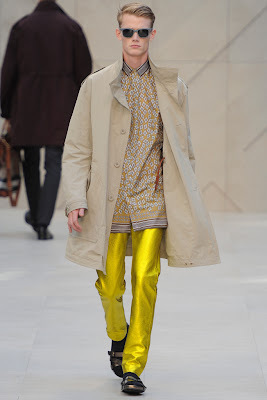 I've been gone for a few days, but I'm back! 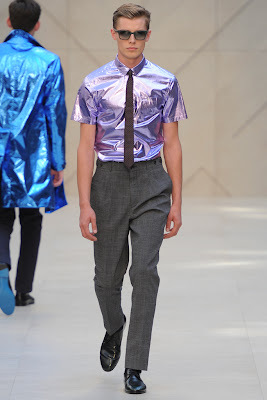 I finally got a chance to catch up on the new collections debuted at London Fashion Week. 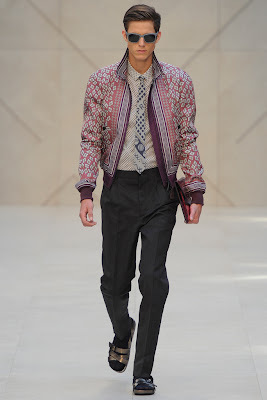 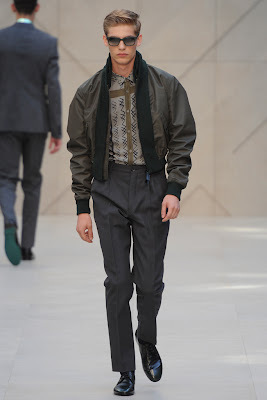 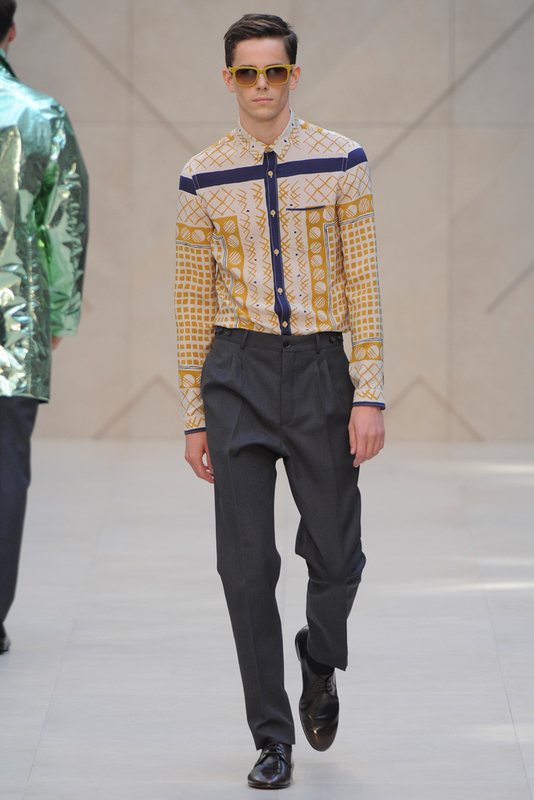 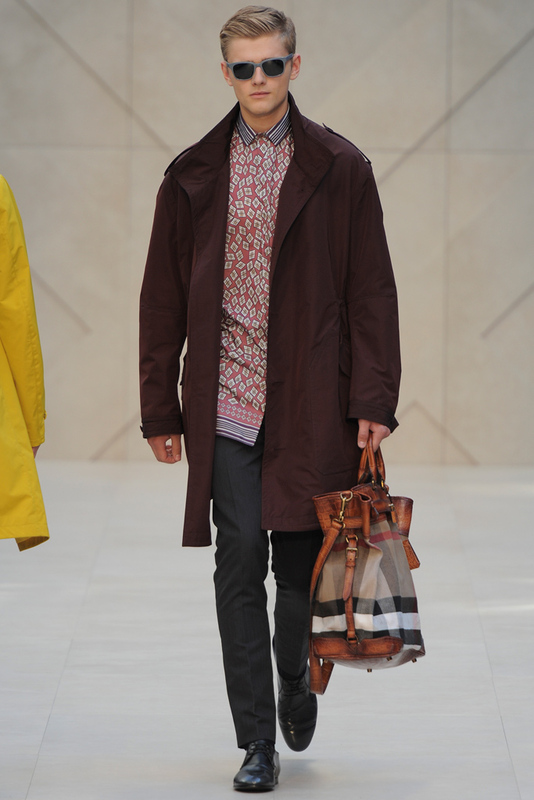 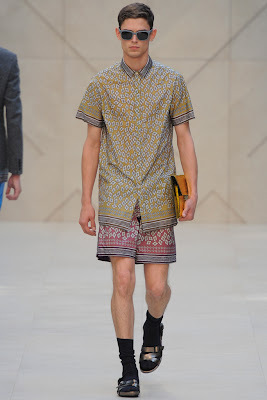 I was so impressed with Burberry Prorsum's collection! 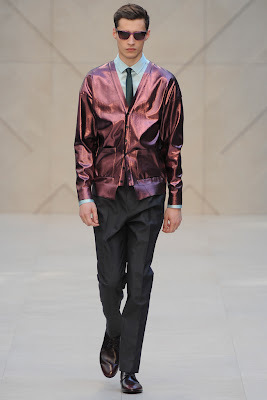 The choice of adding metallic hues for the new season was a tad bit unexpected (for menswear), but I actually like it. Those cardigans are amazing! The print work was nice; it wasn't too overpowering or busy which is something I can appreciate. 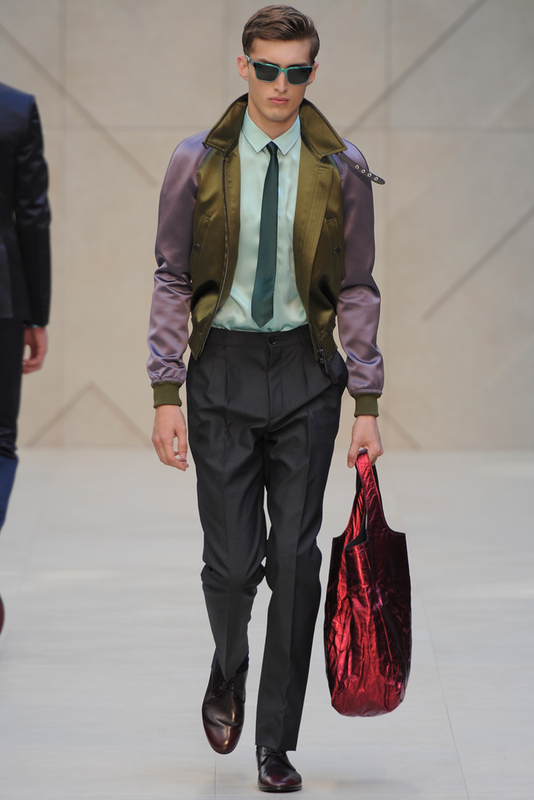 I thought the choice of this color combination was nice to see in a men's collection. 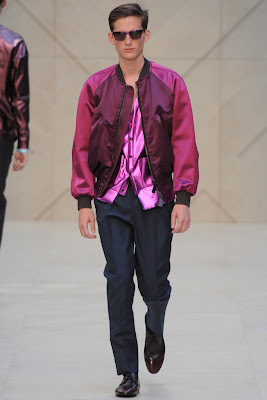 These jackets were my personal favorites! I'm in love! The print work and color blocking technique is genius! 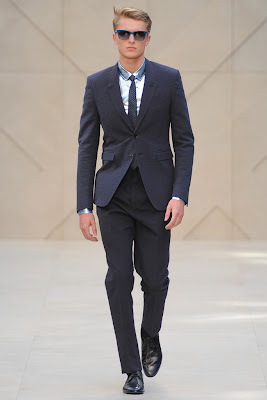 This entire collection is absolutely inspiring! I was extremely impressed with everything I saw for next season.